That’s 500 ribbons, in bundles of 50 each. That’s 20 ribbons, rattling around inside that huge big box. So if we have done our math right (which is a dubious prospect at best), 480 ribbons have been spoken for. Our desk is now covered in ribbon dust (like paper dust, only shinier). We are imposing a cut-off for that San Diego shindig. Sorry, but we are almost out and a second order won’t get here in time. In order for us not to make our postal people go…well…postal, we will be sending these out in smaller batches. Yes, the San Diego shindig ones are going out in the first batch tomorrow. We again ask that you be kind to your event space and your fellow attendees. Please do NOT slap stickers on any part of the hotel or convention center. Also, do NOT slap stickers on people without their permission. Somebody has worked very hard on their Stormtrooper armor, and they might not appreciate you slapping a sticker on their bottom. We’re trying to cut down on harassment, not increase it. 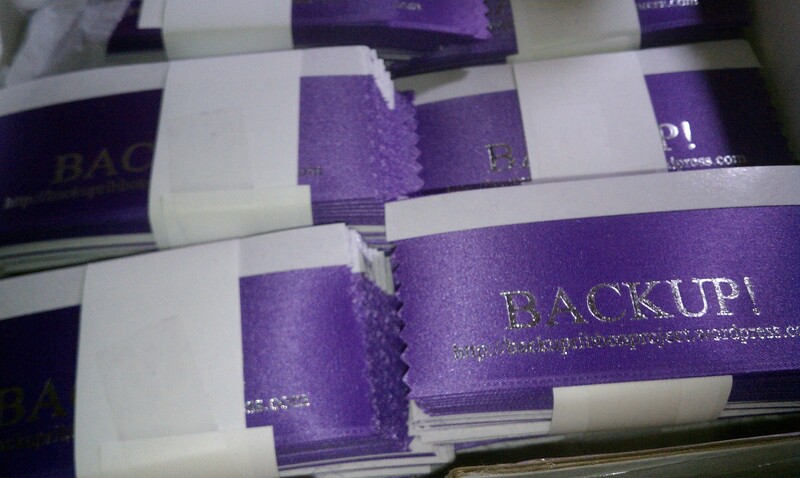 There’s another post coming tomorrow, chock full of some changes to our donation policy and our distribution policy, as well as a request for pics of the Backup Ribbons in action. In the meantime, we are off to nurse our wounds, clean ribbon dust off the desk, and boggle at how many of you think what we are doing is worthwhile. 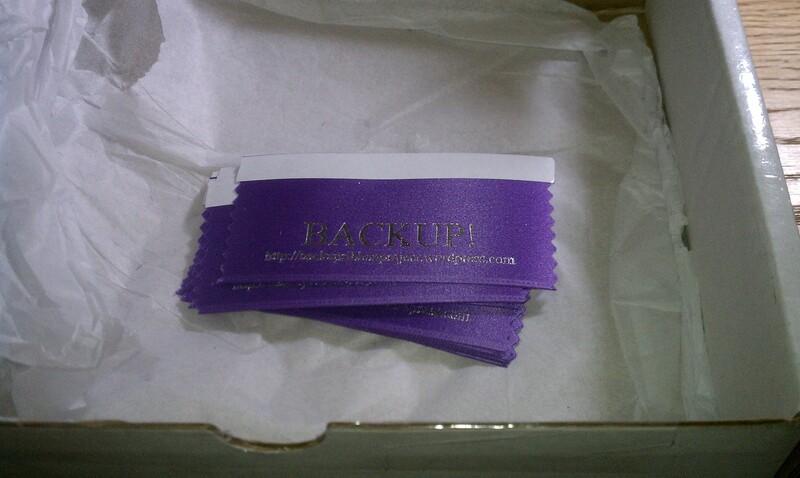 Backup Ribbons are Love, apparently.